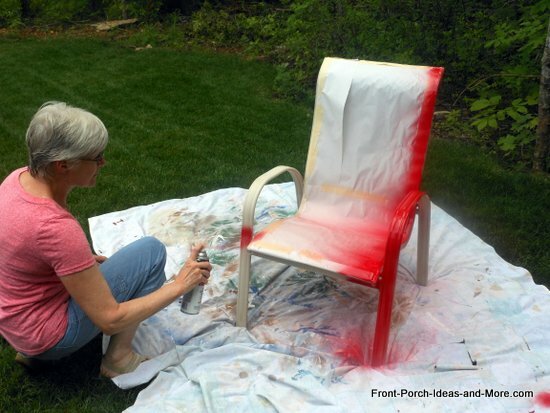 Our spray paint chair ideas are sure to motivate you to update the look of your porch furniture. 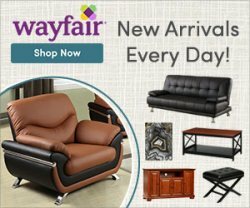 Moving to a new house makes you want to have everything looking new. 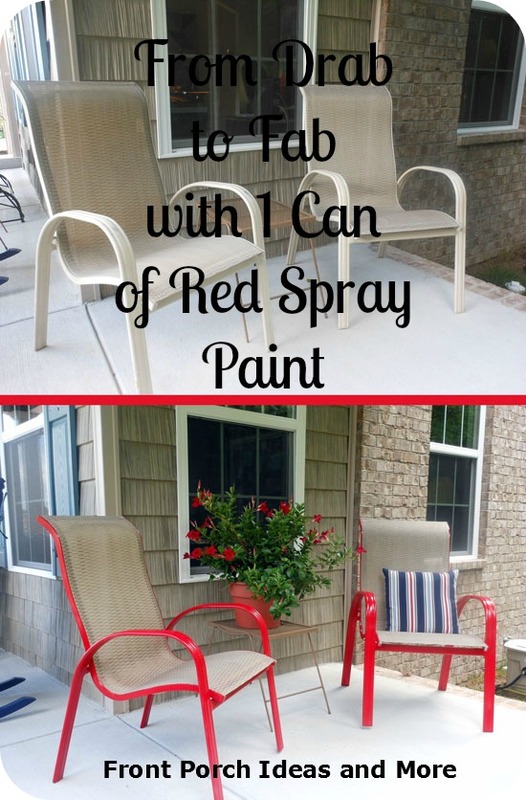 Some of our outdoor chairs were ho-hum so I used a can of red spray paint to give our once-tired-looking chairs a quick and easy makeover. 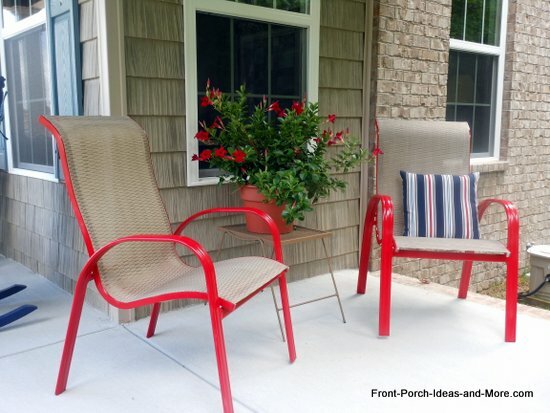 If you're like us, you will be tickled at the results a can of spray paint and some masking tape can do for your porch furniture! 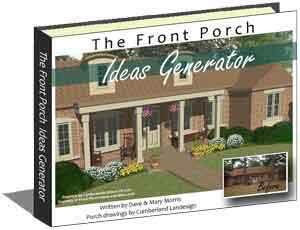 Want to jazz up your porch for the price of a can of spray paint? 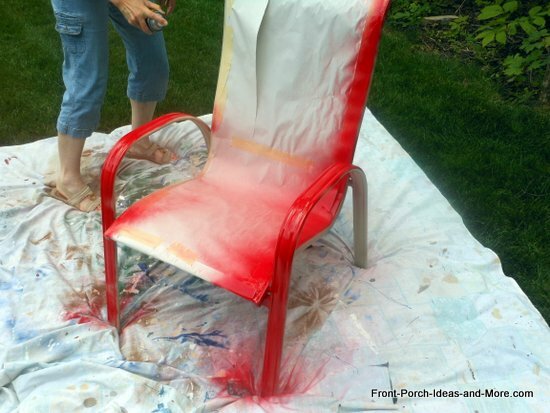 Watch our video: Awesome what a can of spray paint can do. 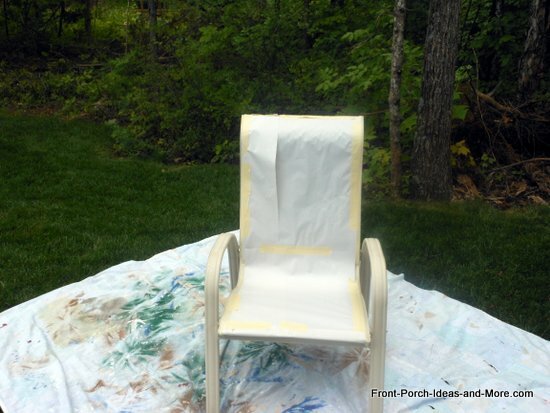 This is the chair I am going to paint. Decide which parts you want to paint and then mask off the rest. I used making tape and then you will see how I used paper to cover the large spaces I don't want to paint. I masked off the seat and back on both the front and back side of the chair. I used packing paper from when we moved but you could use newspaper. 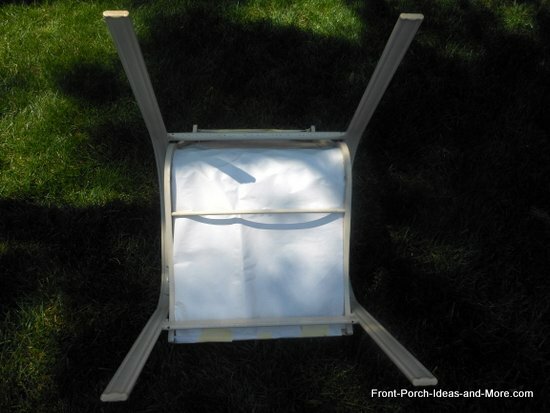 Here you can see the underside of the chair and how I even masked that part with the paper. 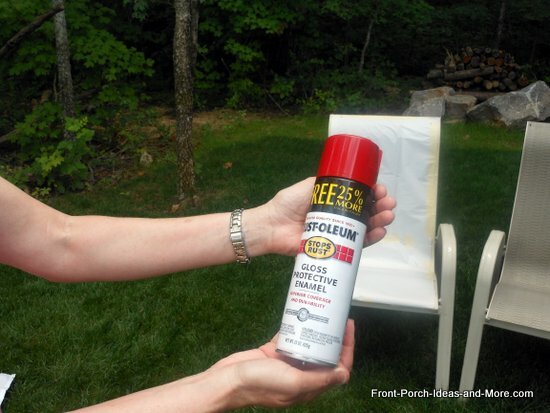 I am using a gloss protective enamel spray paint made by Rust-oleum. The color is Sunset Red and it's a 15 ounce can. 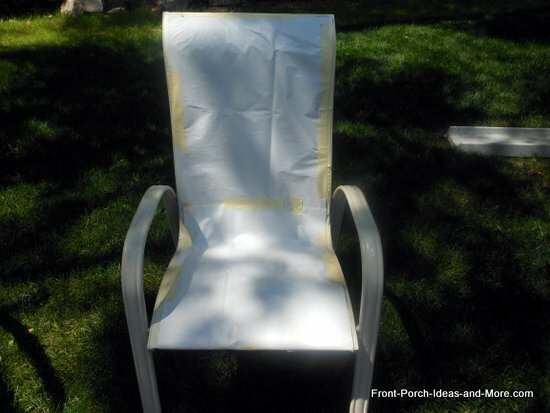 Put your chair on a protective cloth - don't want to paint the grass! 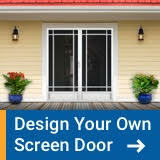 Do your spray painting outdoors on a day when it's not too windy or humid. Follow the paint can instructions please. 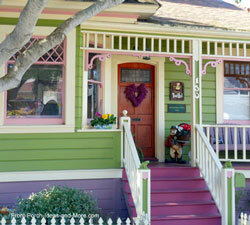 Spray paint tips: Spray with a light touch; several lighter coats turn out nicer than one heavy coat. 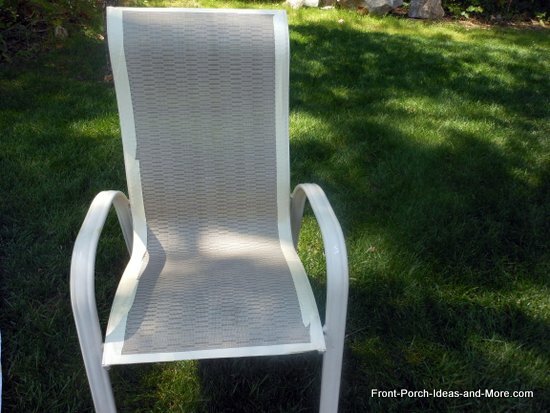 Once your chair is dry enough to turn over (be patient! ), then spray the underside. I was running low on paint so I didn't worry about every single spot that I would never see. 24 hours later. 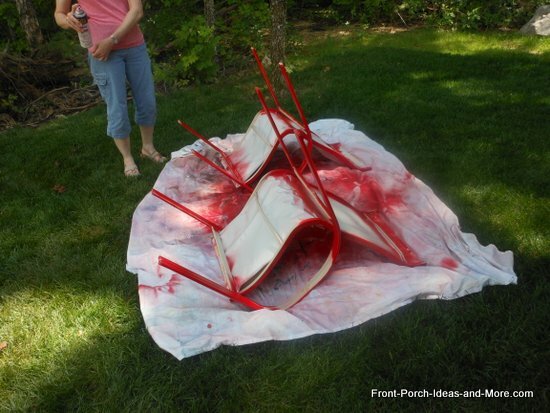 Don't you think the chairs turned out great? 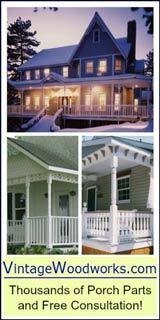 We are very pleased with how they brighten up this side of our porch. 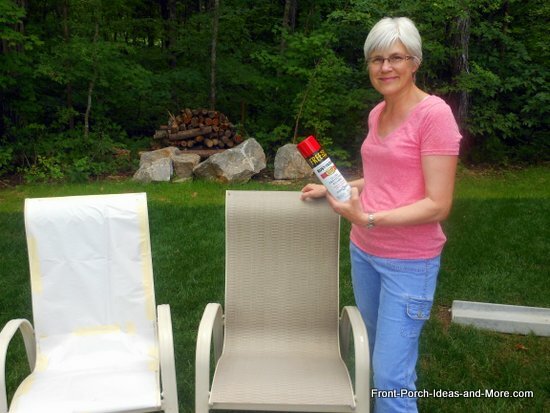 JoAnne says "Spray paint is our friend"
Our facebook friend, JoAnne, saw our spray paint chair ideas and she told us that she also spray paints her porch cushions and flower pots. She says she has been doing it for years because cushions are so expensive. 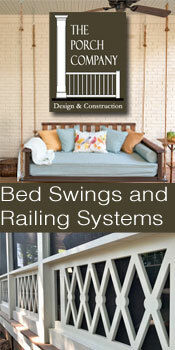 She also told us that her cushions are yellow on one side, taupe on the other and she reverses them come fall. I asked JoAnne how the cushions "feel" for sitting. JoAnne told us, "Different material and textures feel differently. 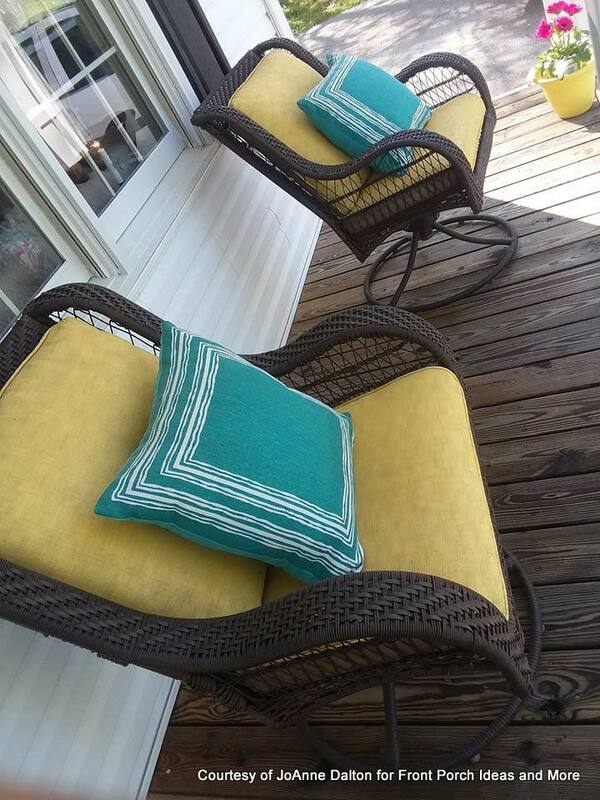 These yellow cushions tend to be stiff right after painting, but break in well by softening with use. We have never had paint come off either, even after getting wet since these do see some weather. Light layers to coat, drying well in between, seem to be the key to success. 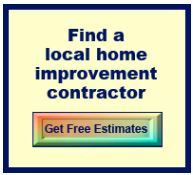 But that's true with any spray paint project." 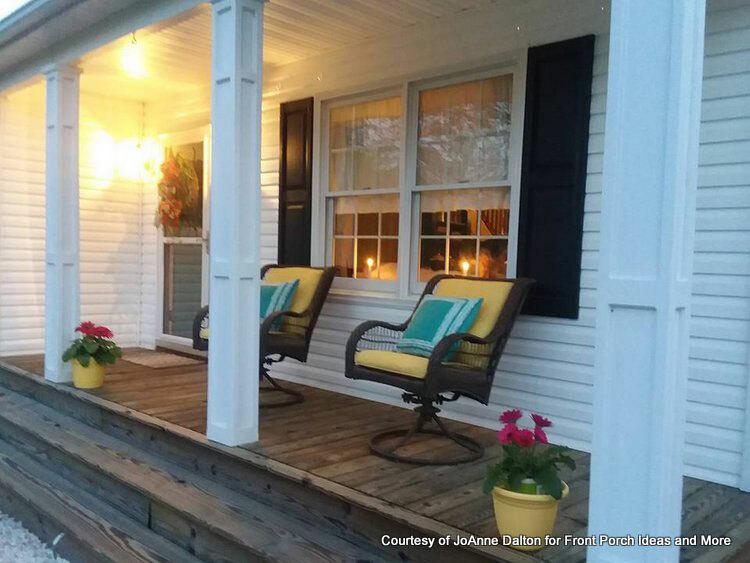 JoAnne told us, "One of our first spray painting projects was updating our faded burgundy shutters to a beautiful black. They have held up for 8 years now, with no touch ups or priming. We are in Virginia so they see 4 seasons of weather." 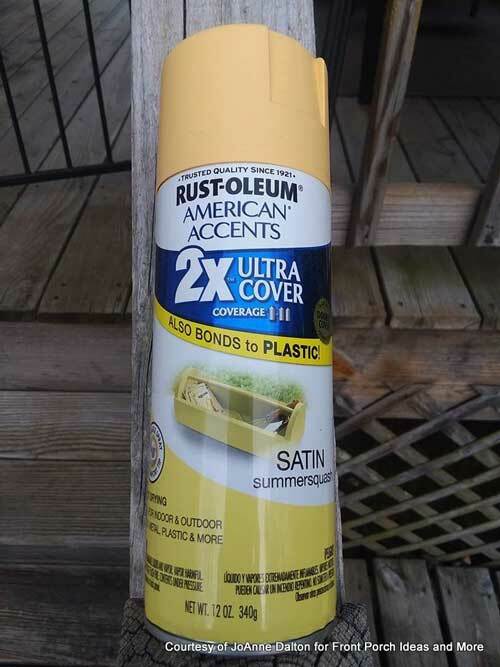 This is the spray paint that JoAnne used for her cushions and pots. 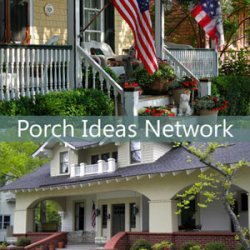 We really appreciate her tips and hope they help you, too. Wait! 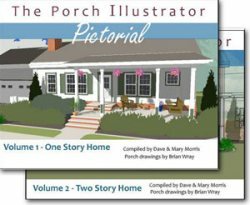 Have Your Seen This? 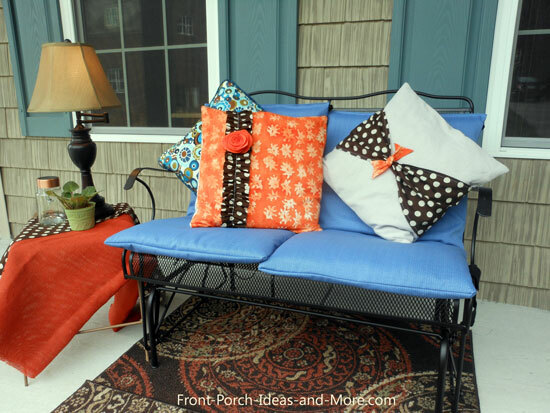 Learn how to make new covers for your outdoor cushions - like the ones above - and sew these super simply pillows, too.